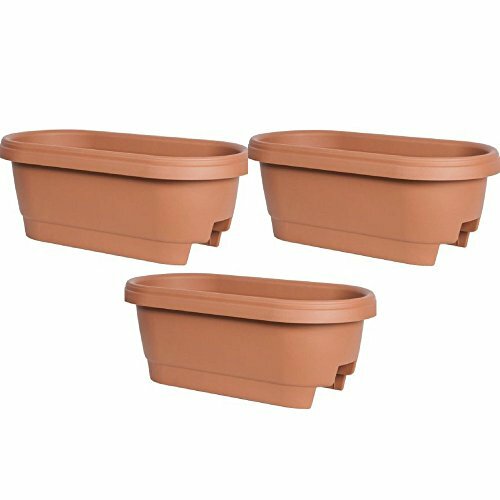 Bloem Deck Rail Planter 24 inch Terra Cotta, Pack of 3 by Bloem/Adp at Tulips Orchids. Hurry! Limited time offer. Offer valid only while supplies last. Bloem MR1816 Modica Rail Planter, 18-Inch, Ole!